Take your birthday celebration to the next level with our birthday limo services. 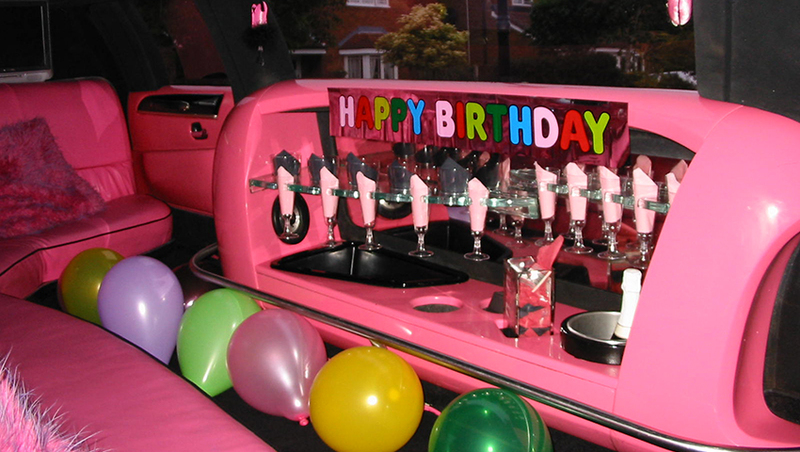 We at Philly Limo Rentals offer fabulous limousines for your birthday parties. Just make your wish for any luxurious vehicle in which you want celebrate your birthday and it will be fulfilled by us within your targeted budget. We give our customers the freedom to compare prices and other facilities, so that you can find the best stylish and luxurious vehicle for your next birthday party. We are professional, courteous and provide the exact limo and other ground transportation services meet our client’s requirements. Our luxurious birthday limos are excellent party machines for folks of all ages. Our birthday limo services will make transfers to and from restaurants, clubs, theme parks or other birthday party locations in New Jersey, New York City or Philadelphia areas. Choose from any our limos and enjoy your birthday in a new stylish and luxurious passion that you never have done yet. Imagine a ride around town with a dazzling limo, popping champagne and eating lots of chocolates with your friends! Isn’t it a great idea? Believe us; truly it will be the best birthday celebration for any of us. It doesn’t matter if it’s a 10 year old boy, 25 year old macho man or 60 year old grey hair uncle; we have the best limousines for your group to make the night that they won’t forget till your next birthday. All our limousines are fully loaded with amenities to make your birthday celebration an unforgettable one. So hurry up and choose your vehicle to fit size of your party and enjoy your once in a year day and one more thing ‘HAPPY BIRTHDAY”.